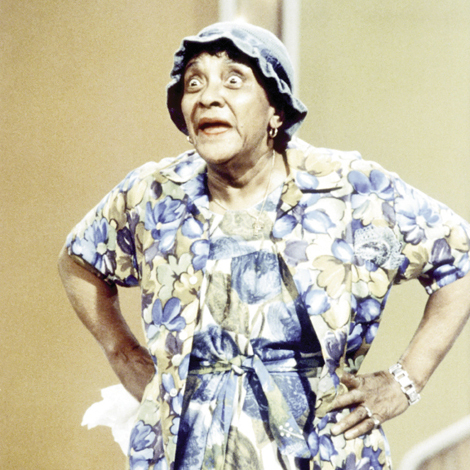 You may never have heard of Jackie “Moms” Mabley, but chances are you’ve busted a gut laughing at some of the many comedians she inspired to take to the stage. Now, almost 40 years after Mabley’s death, a documentary directed by Whoopi Goldberg is finally celebrating this unheralded comedy pioneer. “In 35 minutes on stage, I can keep laughter in a certain range, building higher and higher ’til, when I tell the last joke, they’re all laughing like mad,” Mabley said in 1971, late in her storied career. At the time, no one could deny her comedic skills, but few knew the traumatic history from which it sprang. Born Loretta Mary Aiken in Brevard in 1897, this singular performer entered the world surrounded by peril and promise. A member of what was then one of the area’s most prominent black families, she was still just a generation away from slavery. Mabley went, first to stay with a cousin in Asheville, then to Ohio to reunite with her mother. But she was under duress: A sexual assault, one of many she’d already endured, had left the teenager pregnant and scared about the future. In short order, Mabley landed a role in a traveling play, a production of a comedy called The Rich Aunt from Utah. “I didn’t make a mistake or nothing, not from the first beginning, and that started me off,” she remembered. Then, in the 1920s, she joined a series of shows on the Chitlin’ Circuit, a loose network of black-only venues, where she performed in dramas, comedies and musicals, and quickly became one of the circuit’s leading draws. Mabley fell in with the leading black entertainers of her day, sharing bills with the likes of Louis Armstrong, Count Basie, and Duke Ellington. She became a mainstay at famed New York City venues the Apollo Theater, Cotton Club, and Savoy Ballroom. Ultimately, Mabley crossed over into successes elsewhere, in films, on best-selling records, and on TV variety shows. From the 1930s until her death in 1975, she was America’s reigning black comedienne. Mabley’s stand-up comedy character, “Moms,” cut a striking stage persona—a colorfully dressed bag lady, often with her dentures pulled out, who dispensed raw racial and sexual humor under cover of code words and in-jokes. She poked her audiences, and the country at large, pointedly in the ribs. Comedians who have counted her as an inspiration have included Bill Cosby, Redd Foxx, Eddie Murphy, Richard Pryor, and Wanda Sykes. But it was Whoopi Goldberg who decided to turn Mabley’s inspiring run into a lasting tribute. Her documentary, Whoopi Goldberg Presents Moms Mabley, premiered on HBO last November. Mabley’s story “is a huge part of American history, a huge part of entertainment history, and it’s a gigantic part of black history,” Goldberg noted when the documentary debuted. The film, she said, put Mabley fittingly back in the spotlight. Efforts to recognize Mabley in her hometown haven’t been as successful. For example, in 1997, on what would have been her 100th birthday, the town of Brevard renamed her childhood street, Oaklawn Avenue, after her. Local residents protested, though—they hadn’t been consulted about the name change—and the street was quickly reverted to Oaklawn.